The Eleaf iStick Pico is a tiny, but powerful combo! The Eleaf iStick Pico is tiny, but powerful. This latest kit from Eleaf pairs the iStick Pico, a Variable Wattage and Temperature Control mod, with the Melo 3 Mini sub ohm clearomizer. 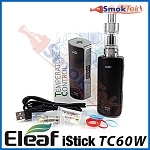 In Variable Wattage mode, the Eleaf iStick Pico has a 75 watt maximum output. 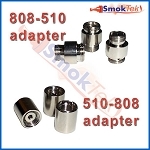 In temperature mode, the mod allows you to adjust between 200-600 degrees Fahrenheit (or 100-315 degrees Celsius), and can support the use of Nickel (Ni200), Titanium (Ti), and Stainless Steel (SS316) wires. You can also dial in a custom TCR (Temperature Coefficient of Resistance) setting. If you enjoy using rebuildable atomizers on mechanical mods, you can set the iStick Pico to Bypass mode to harness the full voltage output of your battery. 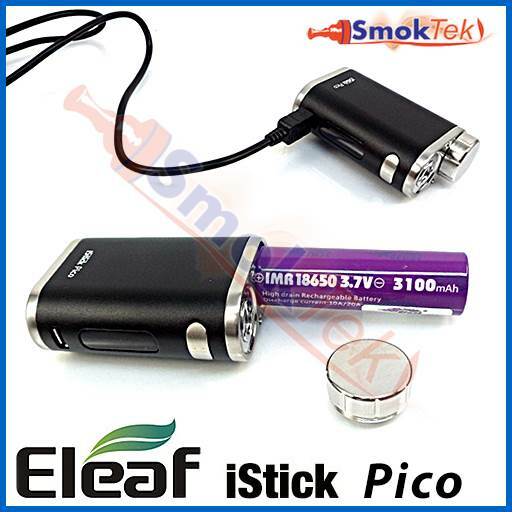 The iStick Pico does not come with a built-in battery. Instead, it offers the convenience of a user-replaceable battery (not included), so you can quickly swap out a drained battery for a freshly charged one as needed! The battery is easily accessible by unscrewing the protruding cap on top of the iStick Pico. 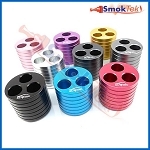 Venting holes on the bottom of the mod ensure proper heat dissipation. You can charge your battery separately with an appropriate charger, or take advantage of on-board charging, by plugging the included Micro USB charge cable into the USB port on the side of the device and then into a computer. Much like its name suggests, the iStick Pico is tiny, with ergonomic features like rounded edges and a no-slip matte surface. The Pico has a spring-loaded 510 connection pin, an easy-to-read OLED screen, a large firing button on the side, and recessed adjustment buttons on the bottom. Because the iStick Pico is firmware upgradeable, it means this tiny beast of a mod will remain relevant in your collection for a long time. The Pico is feature-rich, user-friendly, and has all standard protections. The included Eleaf Melo 3 Mini atomizer features changeable coil heads, a pyrex glass tank, hidden adjustable airflow, and top-filling mechanism. Melo coils use 100% organic cotton for pure flavor. 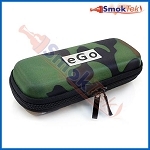 The Melo 3 Mini is capable of producing huge clouds of vapor, without compromising flavor. 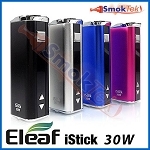 The Eleaf iStick Pico kit is extremely versatile and it has a lot to offer to both intermediate and veteran vapers. 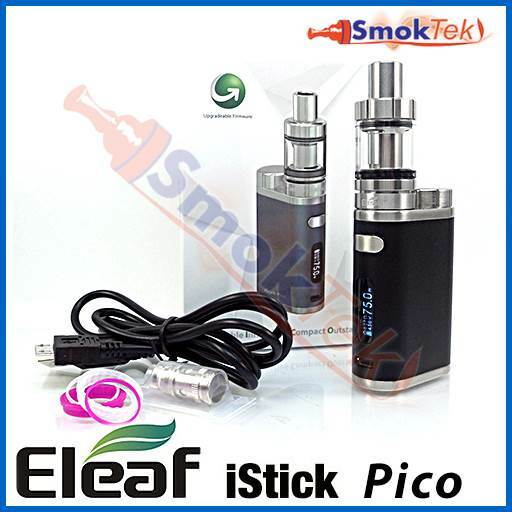 If you are looking for huge clouds, great flavor and tiny form factor, give the iStick Pico a try! And, you can grab a silicone case to protect the Pico from nicks and scratches here. 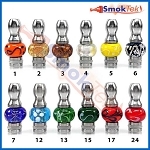 Atomizer Low Alert: If the coil resistance is below the accepted minimum in any mode, the screen displays "Atomizer Low"
Atomizer Short Circuit/No Atomizer Protection: If a short circuit occurs, OLED screen displays "Atomizer Short". If there is no atomizer installed or if the atomizer is not properly installed/making a connection with the device, OLED screen displays "No Atomizer"
Temperature Protection: In TC mode, if the actual temperature of the coil reaches the set temperature, OLED screen displays "Temp Protection"
100% Organic Cotton wicking in coils for pure flavor - extra coils are available here! PLEASE NOTE: Because of the protruding battery cap on top of the iStick Pico, the mod can only accomodate atomizers with 22mm diameter, or less. 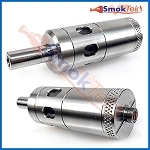 Any atomizer with a diameter greater than 22mm will be too wide and will not fit on the Pico. Because the iStick Pico is a feature-rich device, we highly recommend you take the time to read the included User Manuals. For a brief overview of using the kit, please click on the 2nd tab above, titled "Feature 6". This vape machine is first rate!! I love the top-fill tank and it doesn't leak!!! It's small profile makes it easy to take anywhere and it's light-weight compared to equally powerful ones. I would recommend this to any vaper. Flavor is true in these coils. 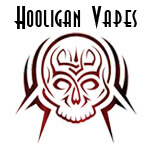 Q: I use a 1.8 coil in my Aspire Triton 2 and Mello 2 units I know the Aspire coils work in the Mello 2. With the Mello 3 will i be able to get a 1.8 coil for it. Also will a Mello 2 fit this unit? 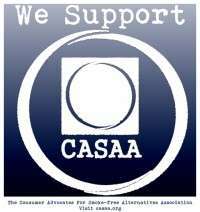 We're glad to help here! 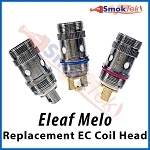 The Melo 2 will fit great on the Eleaf iStick Pico TC75W APV. 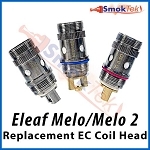 The Melo 3 accepts the same coil heads as the Melo 2, so any coil heads that work well with the Mello2 should also work well with the Mello 3. The iStick Pico has a bright, easy to read OLED screen which displays your output power, temperature setting and mode (VW/Bypass/TC-Ni/TC-Ti/TC-SS/TCR), atomizer resistance, and battery life at a glance. 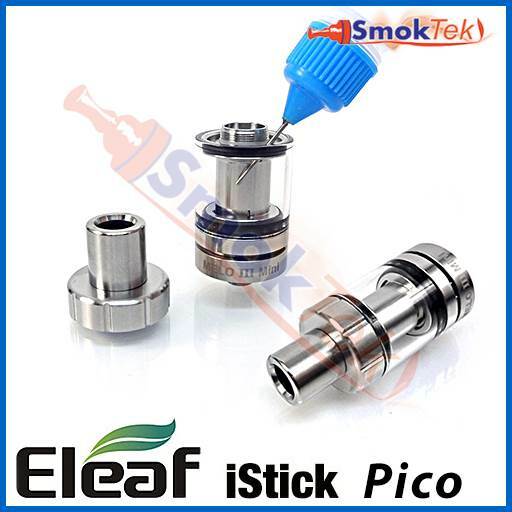 The iStick Pico features a stainless steel spring-loaded 510 connection, ensuring that the atomizer makes a secure connection with the device every time. The Pico can accommodate atomizers of up to 22mm in diameter. Using the iStick Pico is easy. To turn the unit ON or OFF, first unscrew the battery cap, and insert 1 x flat top High Draim IMR18650 battery (25A or higher) with the positive pole down/negative pole up. Screw the cap back on. Press the rectangular fire button on the side of the mod 5 times in quick succession to power ON (or OFF). 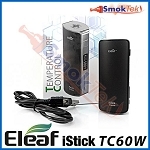 To switch between Variable Wattage (VW), Bypass and Temperature Control (TC-Ni/TC-Ti/TC-SS/TCR) mode, press the fire button 3 times while the device is powered ON. Then, use the up/down ("+"/"-") adjustment buttons on the bottom of the mod to cycle through the different modes. Press the fire button 1 time or stay in the interface for ~10 sec to save/confirm your desired mode. In Variable Wattage (VW) mode, the Pico can support atomizers with a minimum coil resistance of 0.1 ohm and maximum coil resistance of 3.5 ohm. 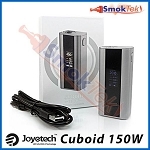 Adjust wattage by pressing the pressing the up and down adjustment buttons on the bottom of the mod. Long-press either button to adjust at a constant high speed. Your selection can be Locked to prevent accidentally changing your watt setting by simply holding down both the up/down buttons simultaneously for 2 seconds. The iStick Pico can be Unlocked the same way when you need to adjust your wattage setting again. In Bypass Mode, the Pico can support atomizers with a minimum coil resistance of 0.1 ohm and maximum coil resistance of 3.5 ohm. 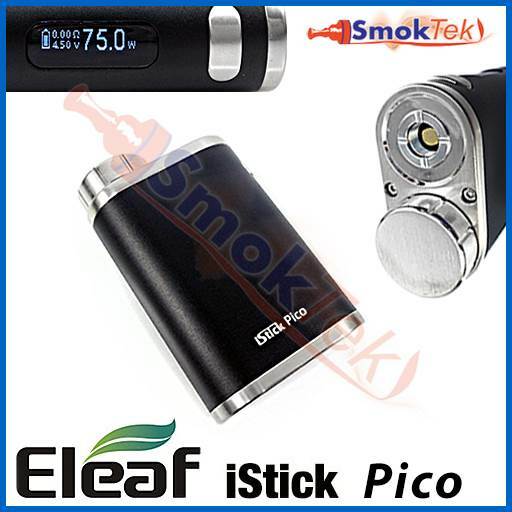 The Pico will use the direct output voltage of your battery in this mode. 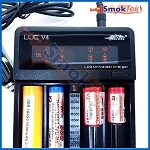 This means that as the battery drains, the voltage output will decrease, similar to a mechanical mod. In Temperature Control mode (TC-Ni/TC-Ti/TC-SS/TCR), the Pico can use Nickel (Ni200), Titanium (Ti), or Stainless Steel (SS316) wires. Different types of Ni, Ti, or SS wires may be used in TCR mode. 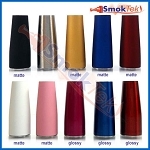 In these modes, the Pico can support atomizers with a minimum coil resistance of 0.05 ohm and maximum coil resistance of 1.5 ohm. Adjust temperature up or down by pressing the up/down buttons on the bottom of the mod. Long-press to adjust at a constant high speed. To adjust your wattage output while in temperature mode, press the fire button 4 times to enter the wattage setting menu. Then, press the up/down adjustment buttons to increase/decrease wattage. 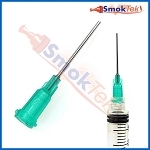 To Lock in your atomizer base resistance in temperature mode, first ensure that your coil is at room temperature. Then, press the fire button and up ("+") adjustment button simultaneously for 2 seconds. A small lock symbol will appear next to your atomizer resistance on the OLED screen (when Unlocked the same way, the lock symbol will be replaced by an ohm sign.) Please lock the resistance when the atomizer coil is at room temperature, so that the mod can display the correct "base resistance". 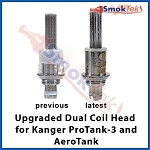 In Lock mode, when you remove the coil and then put it back, the mod can maintain the same "base resistance", although the coil resistance may increase due to the rise in temperature. In Unlock mode, when you remove the coil and then put a coil back, the screen may display "New coil up same down", as the coil resistance may increase within a certain range. If it is the same coil, press the down ("-") adjustment button. If it a new/fresh coil, press the up ("+") adjustment button. Please always Unlock the atomizer resistance before changing out to a coil head with a different resistance. When your battery's remaining power is less than 10% and the Pico needs to be charged, the battery icon on the OLED screen will flash. You may replace the battery with a freshly charged one. Or, you may choose to take advantage of on-board charging, and charge your battery while it is still inside the device. To do so, plug the included micro USB charge cable into the micro USB port on the bottom of the device, and then plug into your computer, OR into a 1A wall adapter and into a wall outlet. The battery icon on the OLED screen will continue flashing while the battery charges, and the OLED screen will go out once the battery is fully charged. You can also take out the battery and choose to charge it separately with an appropriate Li-Ion battery charger - we recommend this method, as the battery will charge faster. The Melo 3 Mini is a convenient top-fill atomizer, which makes refilling a breeze. It has 2 ml e-liquid capacity. It is made of stainless steel, with a sturdy pyrex glass tube, ensuring the tank can handle harsh e-liquids without fear of damage. The Melo 3 Mini features hidden adjustable airflow control. To adjust airflow, spin the airflow control ring (along the bottom of the tank) clockwise to increase or counterclockwise to decrease airflow. Filling the Melo 3 Mini is quick and easy, since you do not have to take it off the iStick. First, grip and unscrew the top cap to reveal the liquid fill holes. 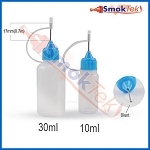 Fill with your favorite e-liquid (do not over-fill, and do not drip e-juice down the center tube - that is for airflow.) When finished, screw the top cap back on. Changing the coil is also easy. Simply unscrew the bottom/base, unscrew the used coil head, and screw in a new one. When using a fresh coil, always prime it by dripping a few drops of e-liquid onto the exposed cotton, and set the atomizer aside for a few minutes - this will ensure that your coil is properly saturated with liquid and will not burn. 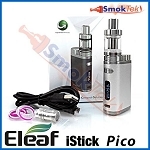 Please note: The iStick Pico comes with 2 x kanthal coil heads (white band) - only use these in Wattage mode. Temperature Control requires the use of Titanium, Nickel, or Stainless Steel coils. 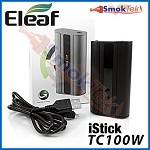 Always use a coil head appropriate for the mode you are using on the iStick Pico.